Well here they are guy's this is Hugo & Poppy the Dachshunds I found in sunny Hawaii. My mission to find these 2 was my hardest yet but well worth the wait as I got 2 friend's for the price of 1, or so they say. 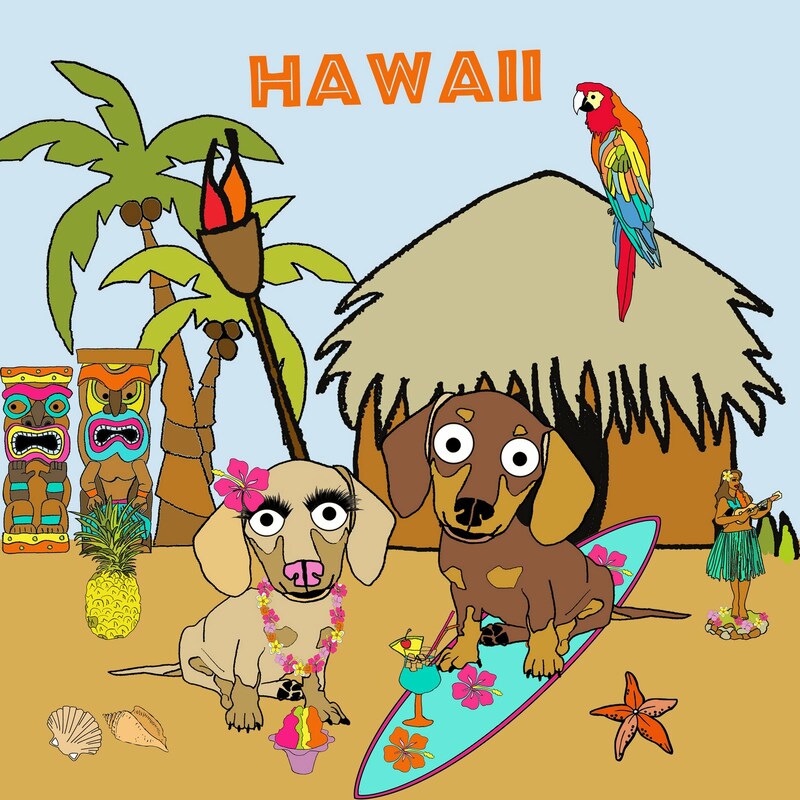 Hugo & Poppy are brother & sister who are great fun and I can't wait to start spending time with them in the paradise that is Hawaii, well I'm going to go now as I've got lots of exploring to do, so I"ll talk to you guy's later.